Citroen will unveil DS 6WR at the Beijing auto show on Sunday. 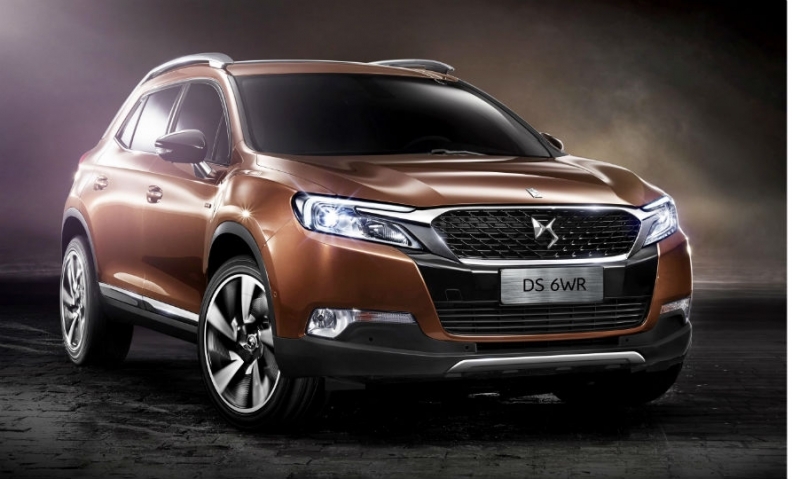 The crossover will go on sale in China by year end as the flagship of Citroen's DS upscale subbrand. In 1985, PSA formed a joint venture with Guangzhou Automobile Group Co. to build Peugeot cars, but the partnership went bankrupt in 1997. In 1992, PSA established a second joint venture, with Dongfeng Motor Corp., but sales remained sluggish as PSA delayed new products. Last year, PSA's partnership with Dongfeng began producing two new models -- the Peugeot 3008 compact SUV and the stretched Citroen C4. Now the partnership plans to unveil the Peugeot 2008 compact SUV at this month's Beijing auto show. These products should do well, since compact SUVs and long-wheelbase sedans are two of China's hottest product segments. PSA has big plans for its partnership with Dongfeng, which agreed this year to invest 800 million euros (6.88 billion yuan) to help its French partner recover from a financial crisis. Likewise, PSA's joint venture with Chongqing Changan Automobile Co. aims to increase its annual output to 200,000 vehicles next year, up from 50,000 units this year. To boost sales, the partners will introduce a compact SUV from the Citroen DS5 lineup at the Beijing auto show. Beijing approved their joint venture last year, and their assembly plant in the central China city of Wuhan is expected to launch operations in 2015. That plant will produce as many as 150,000 vehicles a year, and Renault's first locally built model will be the Koleos, a compact SUV. If you add up all these expansion plans, PSA and Renault will have the combined capacity to build more than 1 million vehicles a year in 2015.